Elon Musk tweeted today a major product announcement will take a place at noon California time. Many speculated as Tesla has a long list of upcoming products planned since releasing its Q2 earning's results. The major announcement turned out to be non other but the already hinted 100kWh battery pack spotted few weeks ago by Kenteken.tv on the Dutch government’s automotive authority website RDW.nl. The battery upgrade is confirmed to be coming for both Model S and Model X, but due to the complicated production process involving improving the cell's architecture, Musk doesn't expect Tesla factory to produce more than 200 packs per week starting today, while deliveries will start next month. Although it may be a 11 or 12 percent increase in capacity, it has really been a 50 percent increase in difficulty. The new Model S P100D Ludiscrous mode will have a range of up to 315 miles EPA - 21 miles more than a P90D - and will be able to hit 0-60mph in 2.5 seconds, while the Model X P100DL can reach 2.9 seconds with a range of 289 miles. The new P100DL vehicles will come equipped with standard Tesla's Premium Seats while charging time will not be affected from the battery capacity increase. 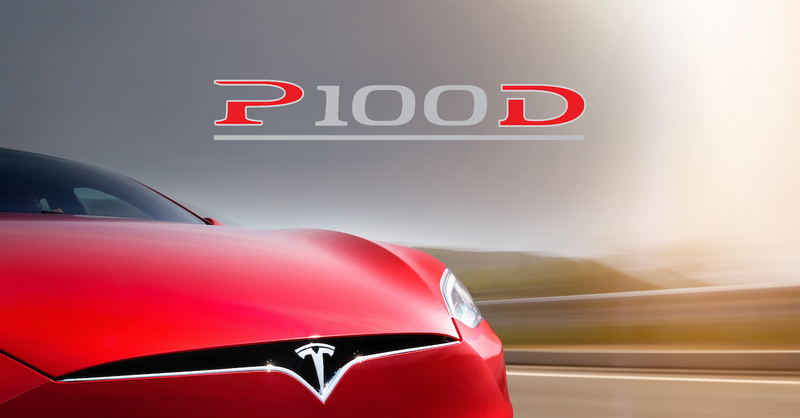 The Model S P100DL will be priced from $134,500 while the Model X P100D will start at $135,500. A battery upgrade for those who put an order on the P90DL vehicles with a 90kWh battery is possible and will cost an extra $10,000, while upgrading for customers who already own a 90kWh battery will set them back $20,000 due to recycling costs of the old battery. Musk did hint that bigger packs will be coming in the near future as Tesla is already working on a different cell chemistry to break the 100kWh capacity barrier. He admitted this upgrade is not cheap but it will be contributing to Tesla's long term plan to bring better and cheaper batteries to the mass market. Meanwhile, Musk confirmed that Autopilot version 8.0 is near completion and will bring material improvements in the autonomy of Tesla's vehicles.